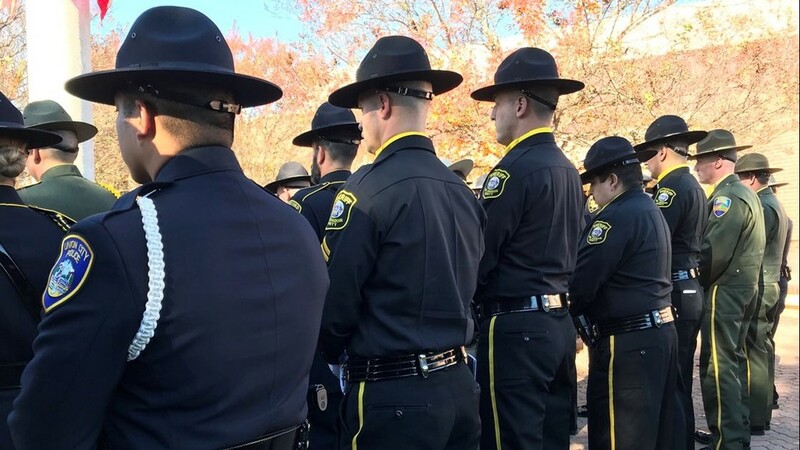 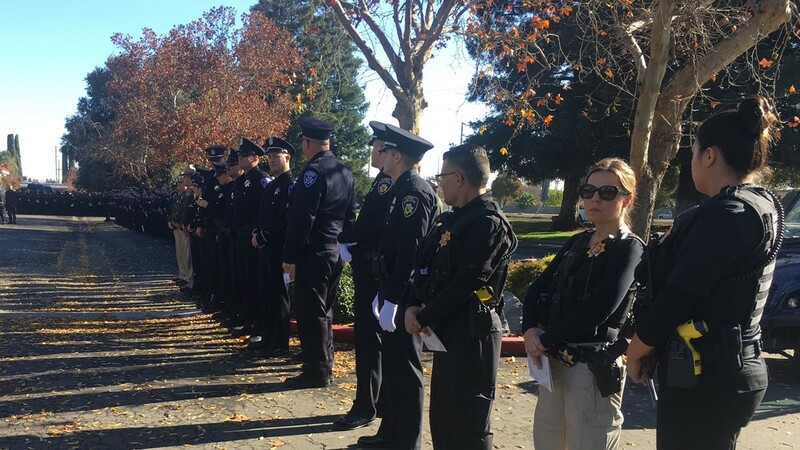 Officers stand for Deputy Hinostroza's funeral procession. 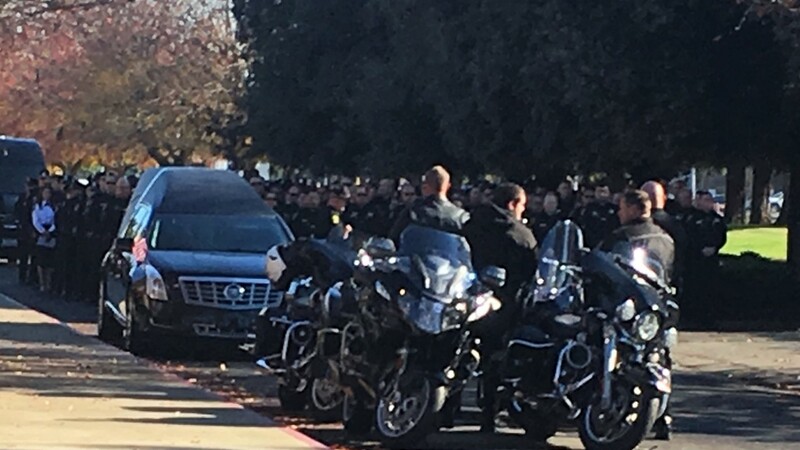 Officers gather for the procession of fallen deputy Antonio Hinostroza. 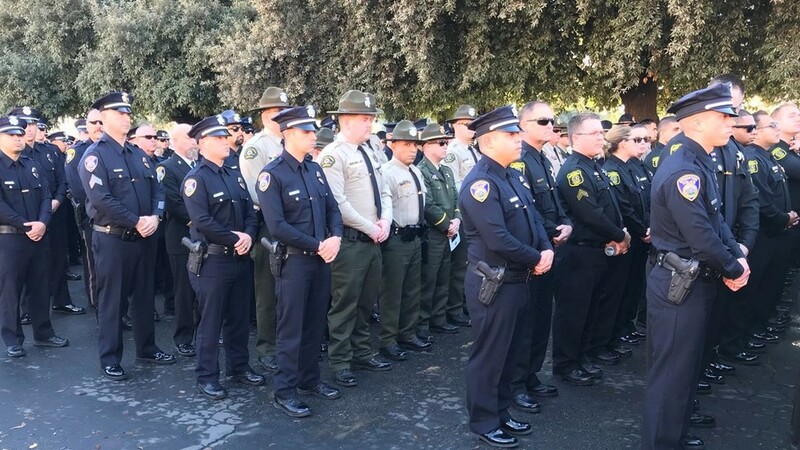 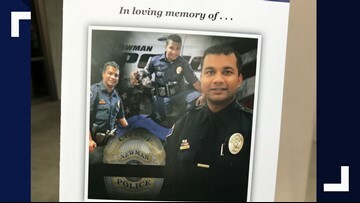 Officers from around the country are arriving to recognize the life of fallen Stanislaus County Sheriff deputy Antonio Hinostroza. 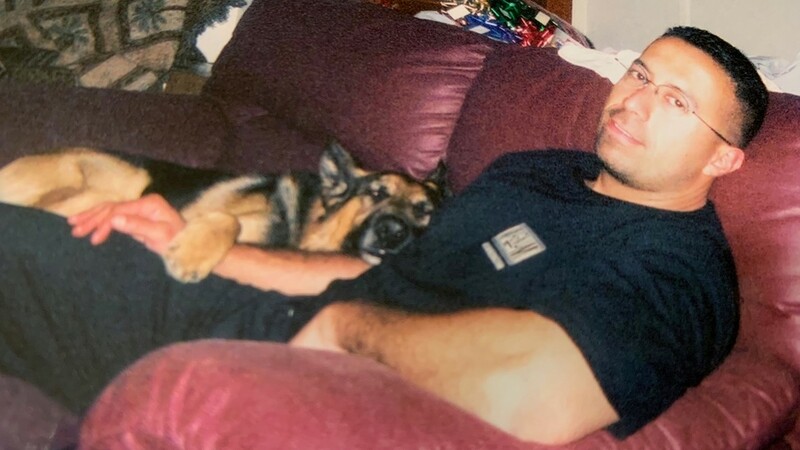 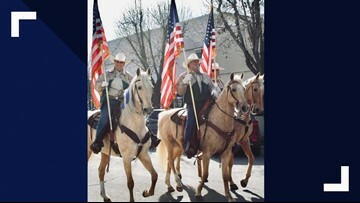 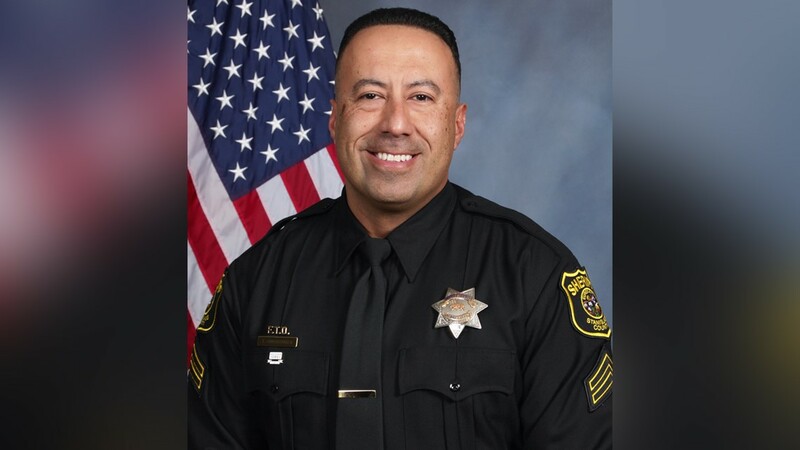 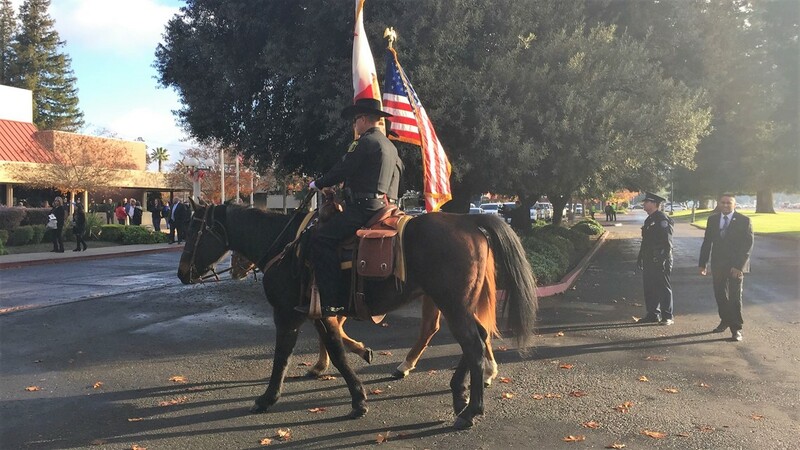 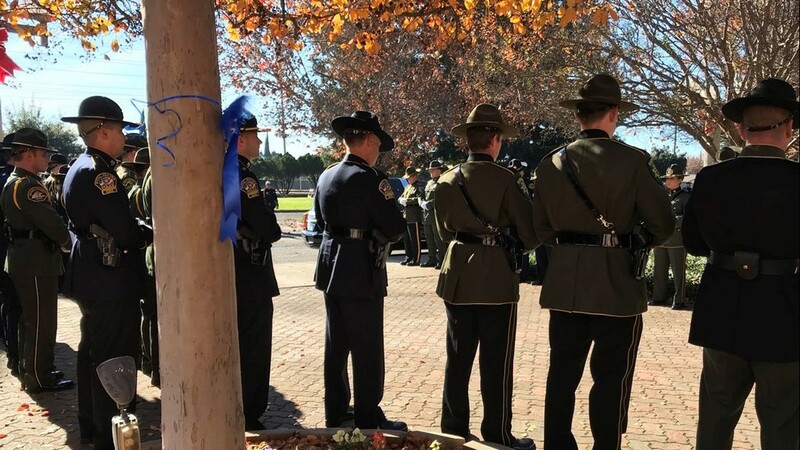 Deputy Antonio Hinostroza was a 19 year veteran of the Stanislaus County Sheriff's Department. 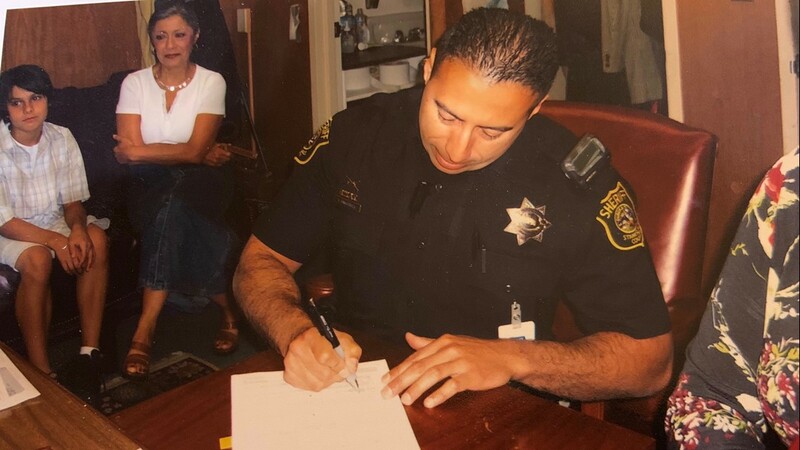 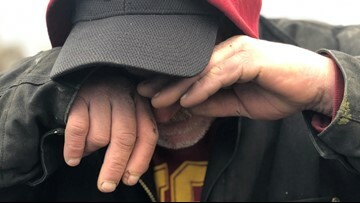 Deputy Antonio Hinostroza was recognized a good father and friend by those close to him. 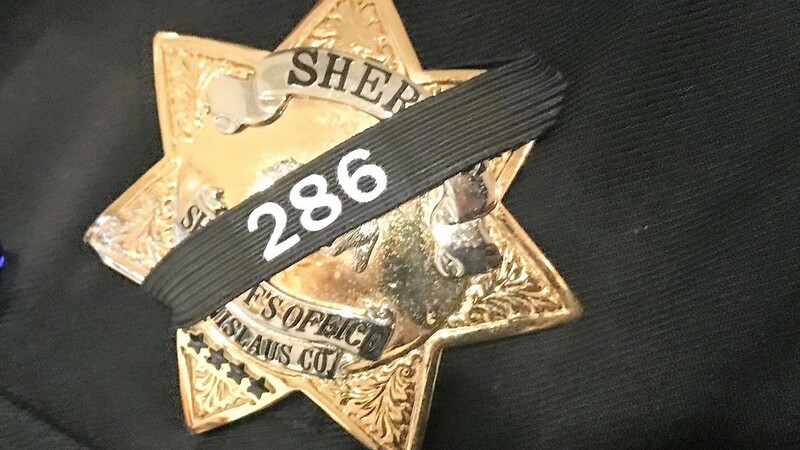 Deputy Antonio Hinostroza's badge number across the badge of the Stanislaus County Sheriff's Department.